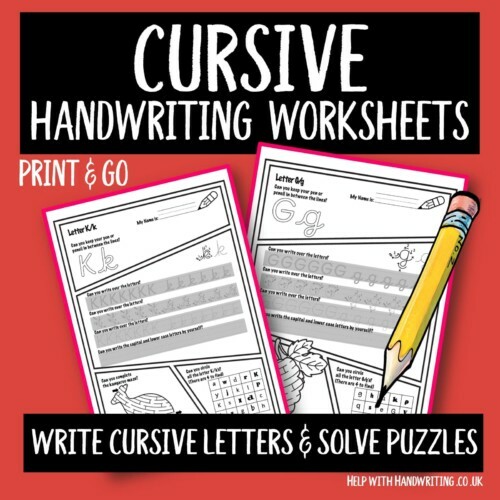 A cursive handwriting style has lead in and lead out letter strokes. 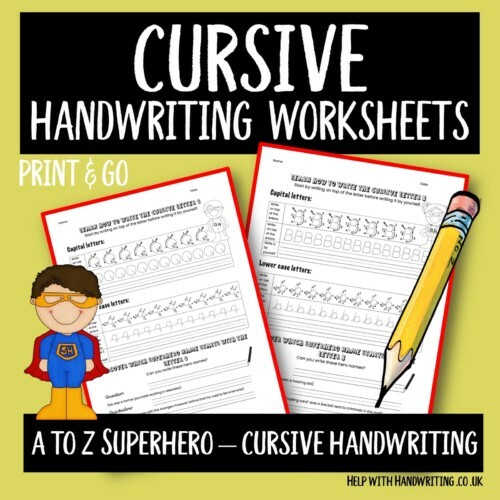 Here you will find handwriting worksheets that will help with forming all the letters of the alphabet. 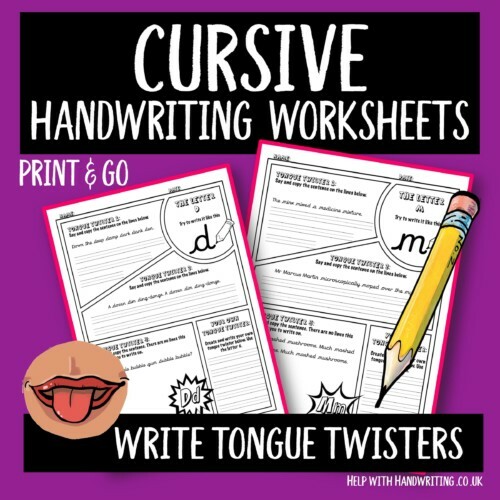 Many schools try to encourage children to write in this style.